UCSF leads the nation in health innovation and with a new medical center due to begin full function in February of 2015, the need for research supplies and equipment will reach all time highs. UCSF Benioff Children’s Hospital San Francisco, UCSF Bakar Cancer Hospital and UCSF Betty Irene Moore Women’s Hospital are expected to open on February 1, 2015. These stats show the money involved with the new building and how much it will benefit the community in San Francisco. 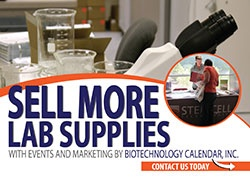 On February 26, 2015 Biotechnology Calendar, Inc. is hosting a Biotechnology Vendor Showcase™ at the Mission Bay Conference Center in San Francisco. This event will be a highly profitable show with an expected attendance of 250 researchers, including lab managers, principal investigators, and purchasing agents. Lab suppliers and equipment vendors are invited to the 2015 San Francisco event. This event will take place right next door to the new hospital! Click below to attend in 2015 for the Biotechnology Vendor Showcase™ at UC San Francisco. Researchers please join us for free lunch and a great time learning about laboratory products. Click below to preregister.